Take your shooting to the next level! The Kestrel 5700 Sportsman Weather Meter combines accurate measurement of air density and wind with a powerful ballistics calculator to deliver precise elevation and windage solutions for any gun, any round, any shot. The built-in enhanced Applied Ballistics G1/G7 ballistics solver is tested and trusted by long-range hunters and shooters. Through a purchased firmware upgrade, the Kestrel 5700 Sportsman can be converted to the full Kestrel Elite with its more advanced extreme long range feature set. 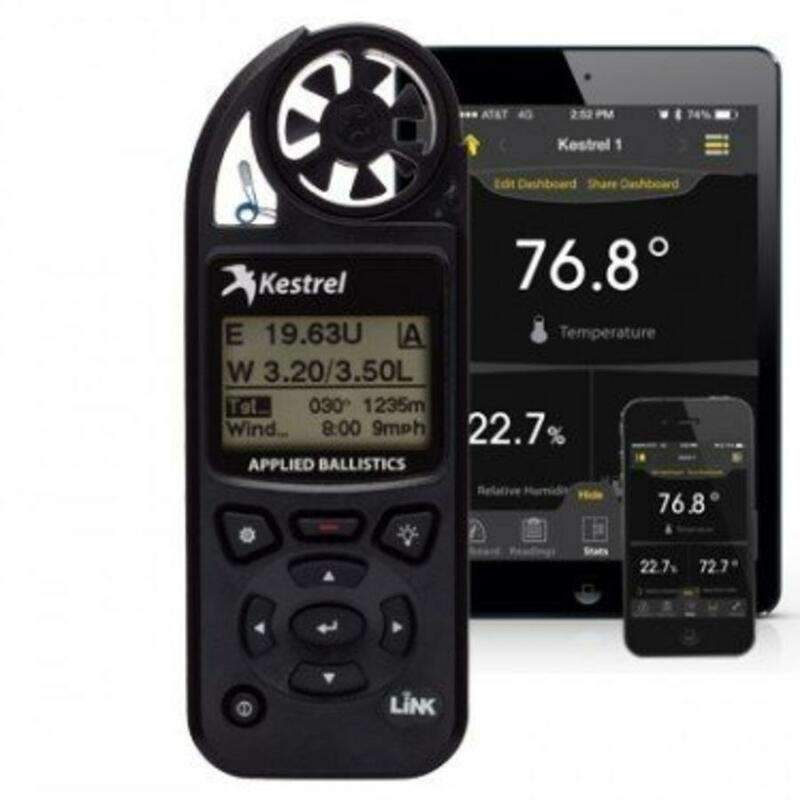 The next generation of ballistics weather meter is here with the Kestrel 5700 Sportsman Weather Meter with Applied Ballistics. 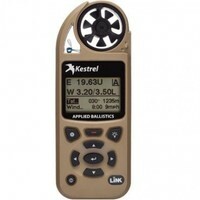 The Kestrel 5700 Sportsman is a tremendous value in full-featured ballistics calculators. Providing the same trusted accuracy, reliability, and usability as the original Kestrel 5700 Sportsman Weather Meter, this integrated weather meter and ballistics solver takes the guesswork out of long-range shooting and is an ideal companion for hunters and shooters working within the supersonic flight range of their bullet. The Kestrel 5 Series platform offers a large, high-resolution and contrast display with ease of font readability. It also includes a built-in dual color backlight, extra-strong polycarbonate lens, AA battery operation and optional LiNK iOS and Android wireless connectivity and app support. Like all Kestrel meters, the Kestrel 5700 Sportsman is drop-proof, dust-proof, waterproof and able to withstand harsh environments without damage – so it can accompany you to the range or hunt for years to come. A range of carry pouch options makes it even easier to take your Kestrel 5700 Sportsman with you. 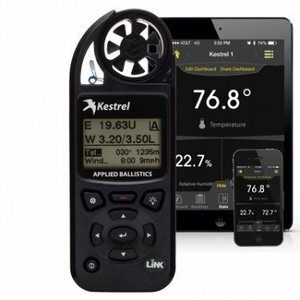 Buy the Kestrel 5700 Sportsman with LiNK and get the power of the Kestrel LiNK Ballistics app for free. Build and manage your gun/bullet profiles and download them to your Kestrel 5700 Sportsman before you set out. 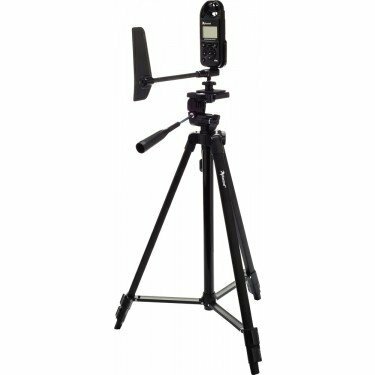 At the range or match, secure your Kestrel 5700 Sportsman to a tripod using the optional Kestrel Vane Mount and use the app to quickly adjust the target range and view the shooting solution and wind rose without leaving your shooting position. It’s like having a meteorologist and ballistician standing next to you while you shoot. In addition to the ballistics solver capabilities, the Kestrel 5700 Sportsman is a comprehensive weather meter for measurement and logging of primary environmental conditions: wind speed and direction, temperature, humidity, heat index, pressure and altitude. Paired with the Vane Mount, the Kestrel Elite becomes a compact, easily-deployable weather station. Your data log can be transferred to a iOS/Android device wirelessly with the LiNK wireless communication option and Kestrel LiNK app, or to a Windows/Mac device with either the accessory Kestrel LiNK Dongle or waterproof USB Data Transfer Cable (Both sold separately). Kestrels have been put to the test in some of the harshest conditions on the planet. U.S. Special Forces, combat weather teams, wildland firefighters, smoke jumpers, Mt. Everest expeditions and auto pit crews are just a few who rely on a Kestrel to provide them with the crucial environmental data they need. Watch any on-screen meteorologist during a hurricane, and you’re sure to spot a Kestrel in action. With a Kestrel 5700 Sportsman, you can put accurate shooting solutions and environmental measurements in the palm of your hand, anywhere your adventure takes you. Wirelessly connect with iOS and Android devices. When in range, manage and transfer gun profiles, adjust Kestrel target range, and view shooting solutions on the mobile device. View real-time measurements, receive on-screen alerts and download your data. Logged data can be viewed, analyzed, archived and shared via e-mail, Facebook and Twitter. Enables firmware update of Kestrel 5 series meters. NOTE: Range up to 100’ line of sight – reduced by walls and obstructions.Most effective when paired with the Kestrel Vane Mount for real-time windage solutions.